Submitted by Peggy Baker of Francis Weston Audubon Society of Pensacola, the society which completed a 2 year study recently of the birds in Blackwater River State Forest (abbreviated report by Peggy Baker posted in this blog, 2013). 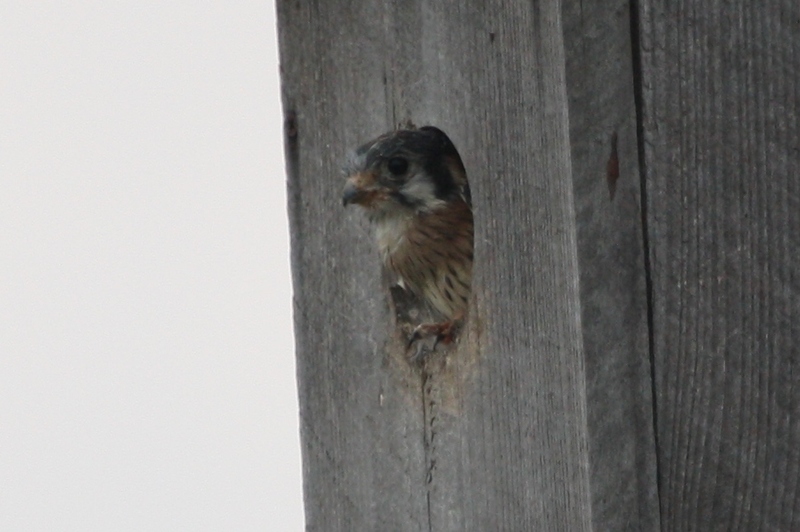 The photo of the nestling was taken by Larry R. Goodman. “Here is a picture of the southeastern subspecies of the American kestrel. “This bird nested all over the SE US at one time. In the last 80 years it has lost 70% of its population. Most of these birds nest in the middle of the state. Comment: GRASI EIS notes that the open areas of the forest would be advantageous for positioning of temporary camps. These are the areas in which the birds would be found. Although the report by the society was available at the time of the initial EIS, no mention of this report is found in the species to be impacted. This entry was posted in Birding, Birds, Blackwater River State Forest, Eglin Air Force Base, GRASI and tagged Birds, Blackwater River State Forest, Florida birding, National Audubon Society on February 18, 2015 by marylynanded. Comments submitted at the GRASI scoping hearings in August, 2013, e-mailed or mailed later are found on sections B113-B179, B182, B 192-93, B 204-209. A summary on subjects spoke to are found in B14-B28. This entry was posted in Blackwater River State Forest, Endangered species, GRASI, Tate's Hell State Forest and tagged Blackwater River State Forest, Gulf Regional Strategic Initiative (GRASI), Tate's Hell State Forest on May 31, 2014 by marylynanded. June 5, Thursday, Santa Rosa Bagdad Recreation Facility, 6:00 PM. All comments must be received by June 23. See document for above for form and comment instructions. For more information see: http://www.//http:letterstograsi-flofficials.com. This entry was posted in Blackwater River State Forest, Eglin Air Force Base, Endangered species, GRASI, Tate's Hell State Forest and tagged Blackwater River State Forest, Eglin Air Force Base, Gulf Regional Strategic Initiative (GRASI), Tate's Hell State Forest on May 9, 2014 by marylynanded. The Acquisition and Restoration Council (ARC) of the Department of Environmental Protection (DEP) which approves all management plans and amendments to these plans for state lands entrusted to the Division of Public Lands, on December 13, 2013, approved the Blackwater River State Forest (BRSF) 10 year management plan with one proviso. They qualified the paragraph which had to do with military expansion in that forest to require any military exercises, such as that mentioned in the GRASI proposal, would require an amendment to the plan and require ARC approval before the exercises can commence. I will get the exact wording next week. There was a very good show of people representing 1) North Florida paddlers (about 14 people with 4 who testified) and a legislative staff aide, 2) The Native Plant Society, 3) Frances Weston Audubon Society (8 with 3 who testified) and State Audubon Conservation Direction Julie Wraithmell, 4) Several other speakers opposed or questioning the military exercises. The council delayed hearing the BRSF plan till 11 am to enable people from Pensacola to leave for Tallahassee at a reasonable time, particularly since many also attended the “town meeting” the night before in Milton, jointly sponsored by Eglin AFB and Florida Forestry. The testimony of John Veasey, an Air Force veteran of 24 years and a frequent user of BWSF resulted in a question to the Director of State Forests the next day by Peter Frederick, council member and U of Florida Professor, asking why there were military in the state forest when he was under the impression that this had not been authorized. Jim Karels, Director of State Forests, replied that under a forestry use permit when Eglin AFB request use for several days, they were usually issued a permit. At the Apalachicola “town hall” meeting that night John Brown, who has been the main point man for forestry, was asked whether the Tate’s Hell Forestry Plan which does not currently have the military inclusion clause in it would have to be amended before military training is allowed. He answered in the affirmative. When asked whether there would be adequate notification of a hearing and adequate time for people to read the amendment, he equivocated. Forestry claims that the military are users, too, and is issuing permits under an ordinary user request. Most of the people at both the Milton and the Apalachicola town meetings held on December 11 and 12, 2013, would question that interpretation of “resource-based recreation” user. This entry was posted in Acquisitions and Restoration Council, Blackwater River State Forest, Eglin Air Force Base, GRASI, Tate's Hell State Forest and tagged Acquisitions and Restorations Council, Blackwater River State Forest, Gulf Regional Strategic Initiative (GRASI), Tate's Hell State Forest on December 13, 2013 by marylynanded. This entry was posted in GRASI, Native Wildflowers, Tate's Hell State Forest, Tate's Hell wildflowers, Womack Creek and tagged Florida native wildflowers, Gulf Regional Strategic Initiative (GRASI), Tate's Hell State Forest, Womack Creek on December 9, 2013 by marylynanded. I have excerpted the Annual Operations Plan (and agreement between Eglin AFB and the Florida Department of Agriculture) in the sister blog http://www.letterstograsi-flofficials.com. It is too long for me to retype it here. 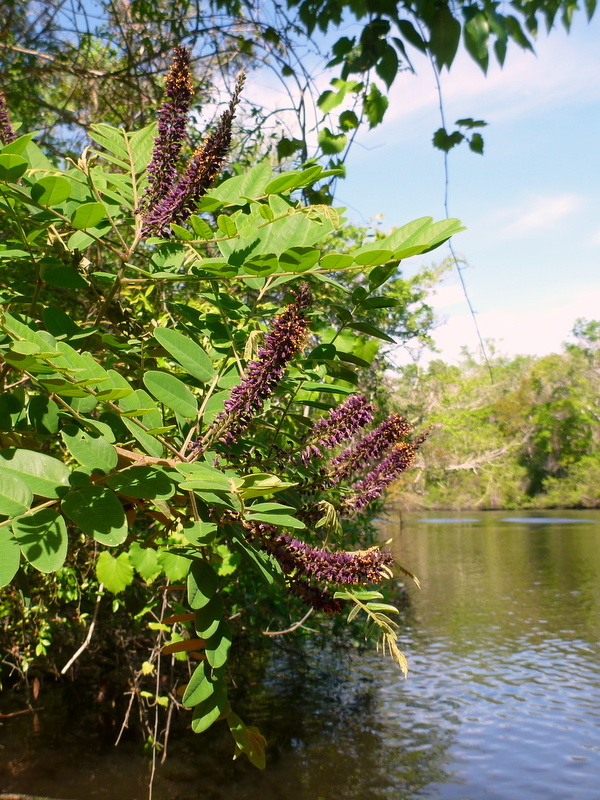 This entry was posted in Blackwater River State Forest History, Eglin Air Force Base, Endangered species, GRASI, Native Wildflowers, Paddling, Tate's Hell State Forest, Tate's Hell wildflowers and tagged Blackwater River paddling, Blackwater River State Forest, Eglin Air Force Base, Florida insects, Florida native wildflowers, Gulf Regional Strategic Initiative (GRASI), Old Spanish Trail FL, Paddling Tate's Hell State Forest, Tate's Hell State Forest, Threatened species on December 9, 2013 by marylynanded. Panel 4, when clicked, will give you the operational plan. This entry was posted in Acquisitions and Restoration Council, Blackwater River State Forest History, Eglin Air Force Base, Endangered species, GRASI, Native Wildflowers, Tate's Hell State Forest, Tate's Hell wildflowers, Threatened and tagged Acquisitions and Restorations Council, Animals Tate's Hell, Apalachicola Bay, Blackwater River State Forest, Eglin Air Force Base, Old Spanish Trail FL, Paddling Tate's Hell State Forest, Tate's Hell State Forest on December 9, 2013 by marylynanded.